Hemphill's Garden and Aquatic Center now offers discount pond supplies to Arizona (AZ) water garden and pond owners. Visit our online store and have your all your water garden and pond supplies delivered to your door! We try to include detail pictures and descriptions for the products throughout our online store to help you select the right product. If you need additional help selecting the right products, we would be happy to assist you via email hemphillsales@pondpals.com or over the phone 1-888-766-3725. During off hours, please leave a message and let us know when would be the best time to reach you and the time zone or area you are calling from. We will call you back within 24 hours. 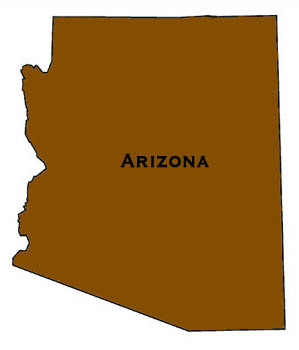 Pond supplies delivered to all Major Cities and Towns in Arizona including: Chandler, Gilbert, Glendale, Mesa, Peoria, Phoenix, Scottsdale, Surprise, Tempe, Tucson, and the surrounding cities, towns and communites of Arizona. Delivery available to all 15 counties (Apache County, Cochise County, Coconino County, Gila County, Graham County, Greenlee County, La Paz County, Maricopa County, Mohave County, Navajo County, Pima County, Pinal County, Santa Cruz County, Yavapai County, Yuma County) and cities throughout Arizona: Anthem, Apache Junction, Avondale, Buckeye, Bullhead City, Casa Grande, Casas Adobes, Catalina Foothills, Chandler, Douglas, Drexel Heights, El Mirage, Eloy, Flagstaff, Florence, Flowing Wells, Fortuna Foothills, Fountain Hills, Gilbert, Glendale, Goodyear, Green Valley, Kingman, Lake Havasu City, Marana, Maricopa, Mesa, New River, Nogales, Oro Valley, Payson, Peoria, Phoenix, Prescott, Prescott Valley, Queen Creek, Rio Rico, Sahuarita, San Luis, San Tan Valley, Scottsdale, Sierra Vista, Sierra Vista Southeast, Sun City, Sun City West, Surprise, Tanque Verde, Tempe, Tucson, Yuma. Our online pond supply catalog and East Coast retail store provide customers in Arizona with a huge selection of ponds supplies, water garden and pond accessories at an affordable cost. We offer a complete line of pond supplies, including pond kits, pond de-icers, pond pumps, pond filters, pond lights, pond liners, water treatments, waterfall products, fish food, and uv lighting options. We aren't just another pond supply store . . .
New Ponds, Water Gardens, Aquatic Plants, Pond Maintenance, Waterfalls, Fountains, and much more. Pond supply delivery available throughout Arizona. Local Pond Installation services only available in Maryland.